Já ouviram falar da Tek Recon? A Tek Recon é uma nova empresa semelhante a Nerf que está a tentar entrar no mercado de blaster´s. Mas a Tek Recon não se ficou apenas pelas blaster´s, eles desenvolveram uma aplicação para Iphone e Android que nos permite que jogar na vida real (com as blaster´s), e virtualmente. Pessoalmente, acho que a Havok mais bonita é a “Black Chrome” Edition e a Hammerhead mais bonita é o “Black Chrome” Edition. As blaster´s têm um design único que combina verde, preto e laranja. A maior / Rifle chama-se a Havok e a mais pequena / Pistola chama-se Hammerhead. A Hammerhead tem um clip com 25 borrachas (NGR rounds) e a Havok tem um clip com 72 borrachas (NGR rounds). A App da Tek Recon está disponível para Android e IOS (Apple). Basta fazer o download da aplicação para o dispositivo e, em seguida, colocá-lo no suporte do dispositivo da Tek Recon. Para ver o Website da Tek Recon, clica aqui. Para ver o canal do Youtube da Teck Recon, clica aqui. Vamos ajudar a Tek Recon e ver os produtos espantosos que têm disponíveis! Do you heard something about Te Recon? 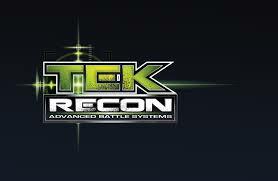 Tek Recon is a new company similar to Nerf that is trying to get in the blasters market. But Tek Recon didn´t stayed only for the blasters, they developed a app for Iphone and Android that allows you to play in real life (with the blasters), and virtually. Personally, I think the best looking Havok is the “Black Chrome” Edition and the best looking Hammerhead is the “Black Chrome” Edition. 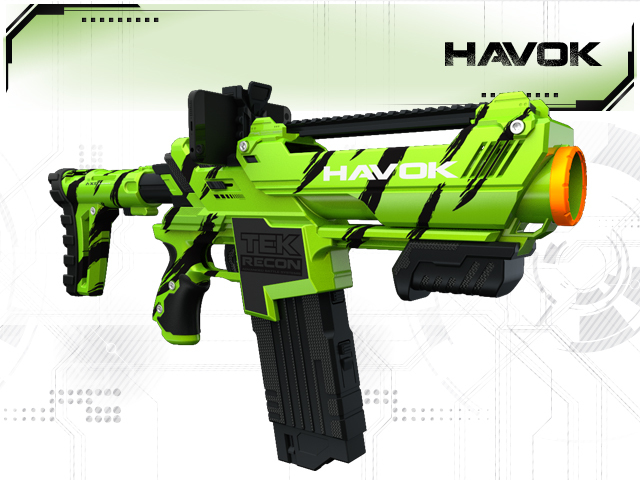 The blasters have a unique design that combines the green, black and orange. The Bigger/Rifle one is called the Havok and the Smaller/Pistol one is called the Hammerhead. 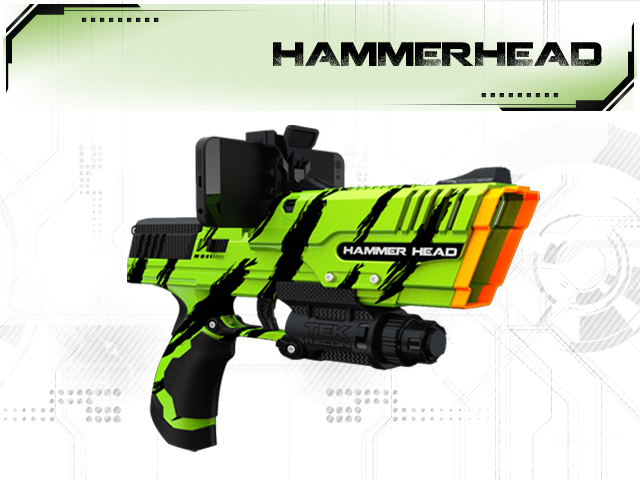 The Hammerhead holds a clip with 25 NGR rounds and the Havok holds a clip with 72 NGR rounds. The Tek Recon´s app is available for Android and IOS (Apple). You simply download the app for your device, and then you put it in the Tek Recon´s device holder. To check Tek Recon´s website, click here. To check Teck Recon´s Youtube channel, please click here. Lets help Tek Recon and see the amazing products that they have available. Brilliant post man, very interesting and good quality info :) Keep it up! !